As our world continues to urbanize, the theory of "biophilia" has grown increasingly important to our health and wellbeing in the built environment. Biophilia, the "love of life and living systems," is the innate human desire to connect with nature and other life forms. The concept was introduced in the 1980s by American biologist, theorist and naturalist Edward O. Wilson who studied how the increase of urbanization has led to a disconnection between people and the natural world. As a result, biophilic design, the infusion of direct and indirect natural elements into the modern built environment was created to fulfill our instinct to be close to nature. Essentially, biophilic design is the intersection of architecture, nature and neuroscience. Research shows that this holistic approach to design offers many health benefits – from reducing stress, blood pressure levels and heart rates – to promoting creativity, productivity and boosting overall mental and physical wellbeing. 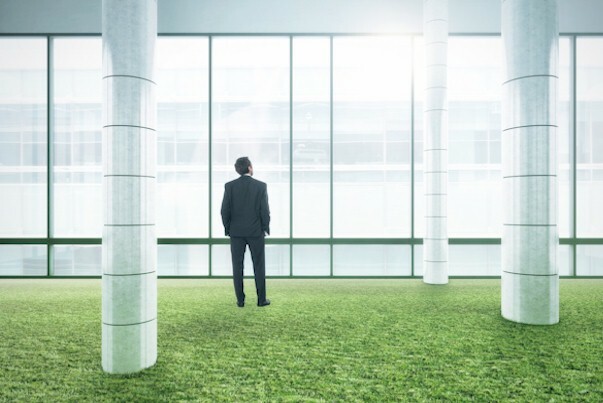 As the human population continues to urbanize, businesses, hotels and apartment communities around the globe are incorporating biophilic design to connect people with environments that promote health and wellness. While this design concept is already shaking up the hotel industry, hoteliers can leverage design strategies from multifamily and residential communities to effectively create spaces that enhance the human-nature connection and elevate the guest experience. Today, Americans spend on average 90 percent of their time indoors or inside a vehicle. As society becomes ever more dependent on technology, we're getting more and more detached from the natural world. This disconnection has resulted in a substantial increase in our craving for, and relationship with, nature and demand for biophilic design in our homes, workspaces, dining spaces and even travel accommodations. Research shows that by 2030, 60 percent of the world's population will live in urban environments. So, it's crucial that architects and interior designers across all industries commit to elevating the human-nature relationship. In apartment and residential communities, the integration of natural elements creates an emotional connection for residents – a calming and restorative environment to relax and recharge. Data shows that residential communities that incorporate biophilic design have multigenerational returns such as increased rents and reduced vacancy as a result of increased health and wellness and the memorable experience the property evokes. Essentially, when people are in a place where they feel good, happy and healthy, they want to stay longer. For hoteliers, this means that properties designed to meet travelers' desire for affiliation with nature can increase their chances of creating an emotional bond with guests that will encourage them to return and recommend the hotel to others. In fact, guests are willing to spend 36 percent more time in hotel lobbies that incorporate biophilic design and pay 18 percent higher average daily rates for rooms that infuse natural elements. Hotels that feature biophilic design also are generating positive reviews with guests mentioning "experience" twice as often. The state-of-the-art fitness center at Angelene Apartments in West Hollywood features floor-to-ceiling windows, two-story ceiling heights and natural and locally sourced interior elements to encourage wellness, productivity and positive feelings. Designed to promote health and wellness for residents at Brio Apartment Homes, the lobby features a two-story living wall, stairway made of reclaimed wood and nature-resembling colors and shapes that are seamlessly carried throughout the property. Broadstone Candara at Hancock Park features a variety of multi-function, indoor-outdoor spaces to promote the human-nature connection including an indoor entertainment bar that opens to an outdoor courtyard with expansive views of Los Angeles. Vantis, a luxury apartment complex in Aliso Viejo, features myriad indoor-outdoor lounge areas throughout the property. A mega-cabana provides privacy while offering residents direct access to natural light and air with a view of the resort-style pool. Designed to bridge the gap between residents and the outdoors, Vantis features an indoor-outdoor shared living room infused with natural elements - from reclaimed wood accents, sleek stone surfaces to inspirational graphics.